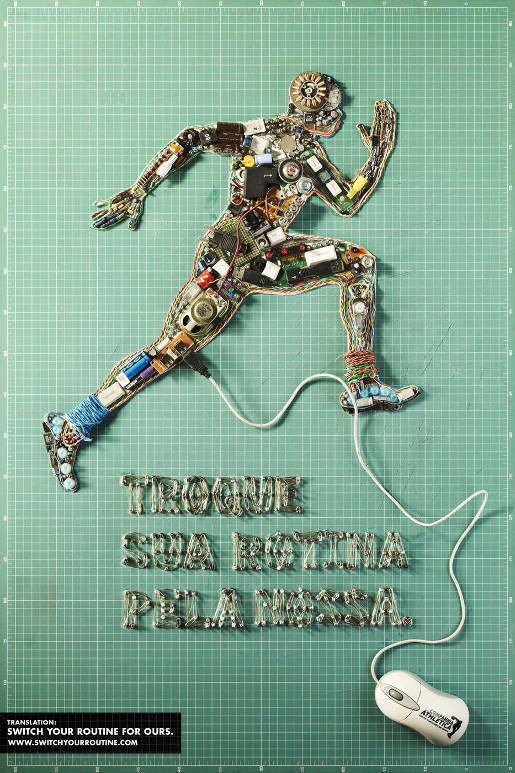 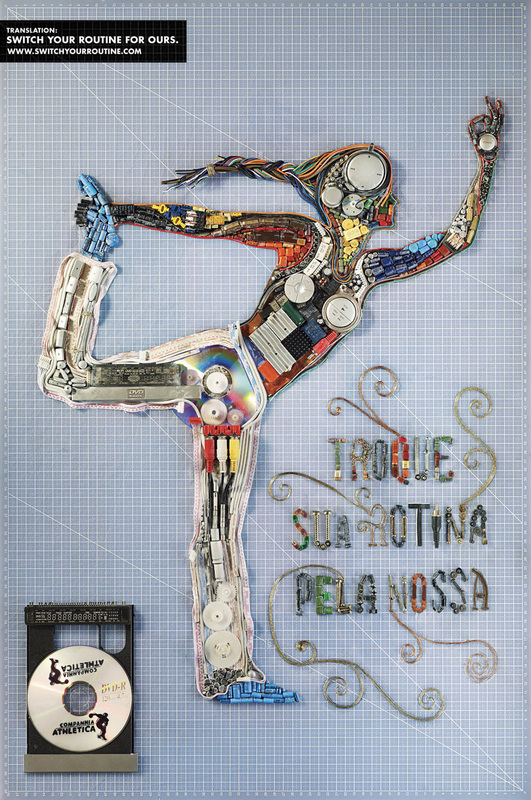 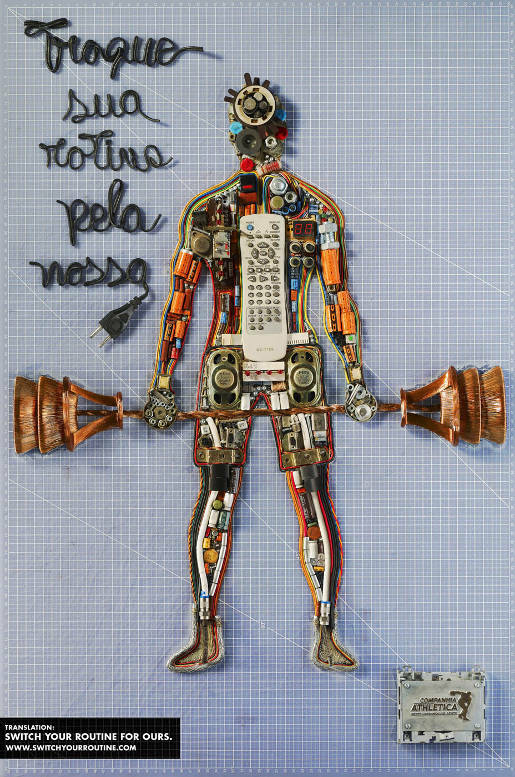 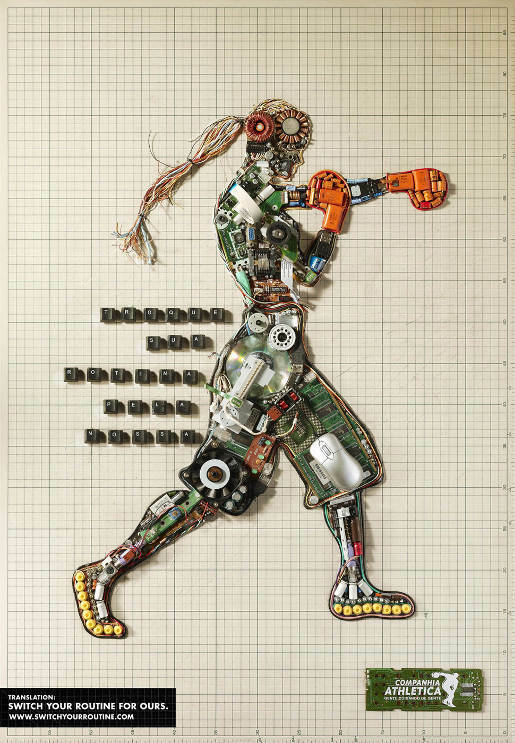 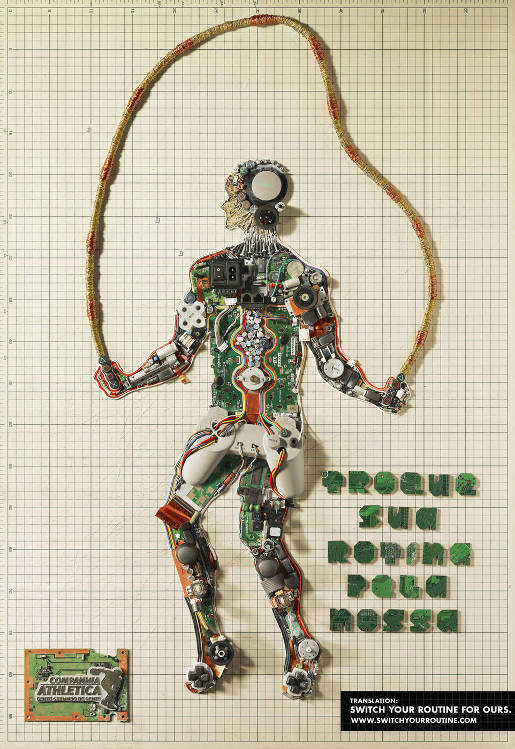 Companhia Athletica Gym in Brazil has placed five mixed media motherboard-style posters in the entrances of their gyms in Brazil, promoting the theme, Troque sua rotina pella nossa (Switch Your Routine For Ours). The campaign, online at www.switchyourroutine.com, is designed to get people sitting in front of computers to consider spending time working out in the gym. 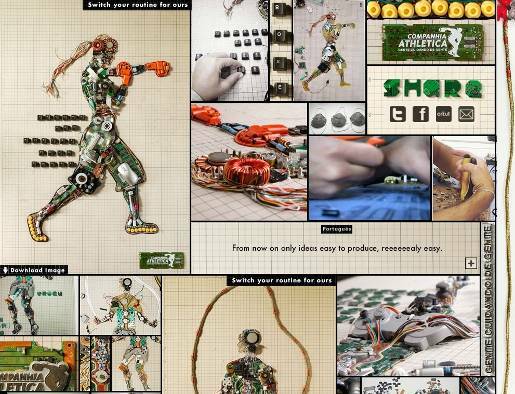 The handmade posters were assembled over four months from 4 CPUs, 3 video games, 4 TVs, 9 keyboards, 4 DVD players, 10 remote controls, 6 speakers, 750 screws, 900 metres of wire and 63 tubes of glue. The Switch Your Routine campaign was developed at DDB Brazil by creative directors Sergio Valente, Rodrigo Almeida, Renata Florio, Moacyr Neto, creatives Renata El Dib, Murilo Melo, Gabriel Sotero, photographers Ricardo Barcellos and Sergio Prado, illustrator Renata El Dib, Murilo Melo, web producer “Denis” Gustavo Alves, programmer Fernando Kreigne, account supervisors Suzana Poli, Marcelo Balista de Macedo, media planners Valdir Vieira, Daniela Dib da Silveira art buyers Clariana Regiani da Costa and Carmen Castillo.